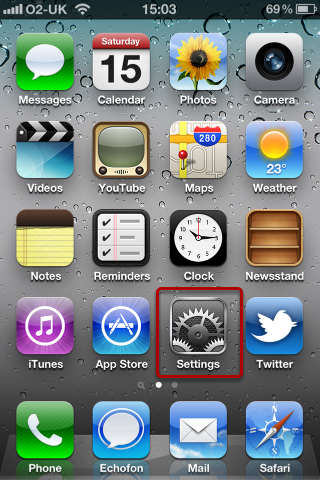 Access the iDevice settings. Obviously your screen will differ to mine! 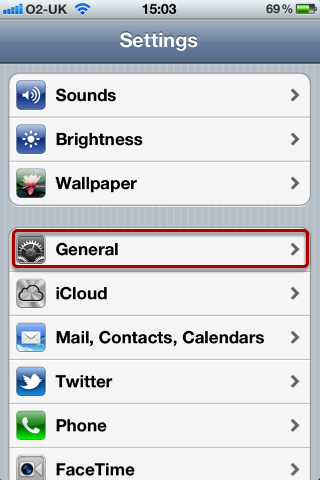 Access the General section of the settings. 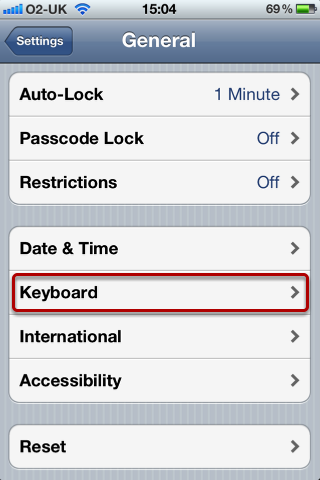 Access the Keyboard section of the General Settings. Drill down in to the International Keyboards section. 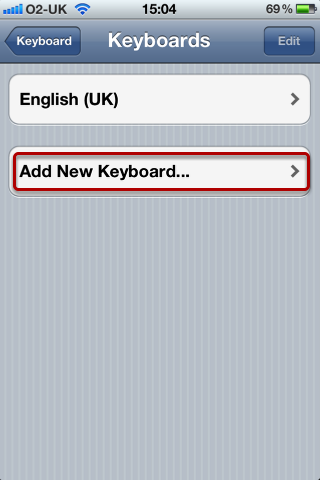 Tap the Add New Keyboard option to select a new keyboard. 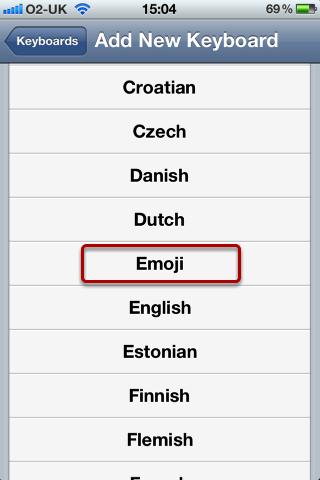 Select Emoji from the list of available keyboards. 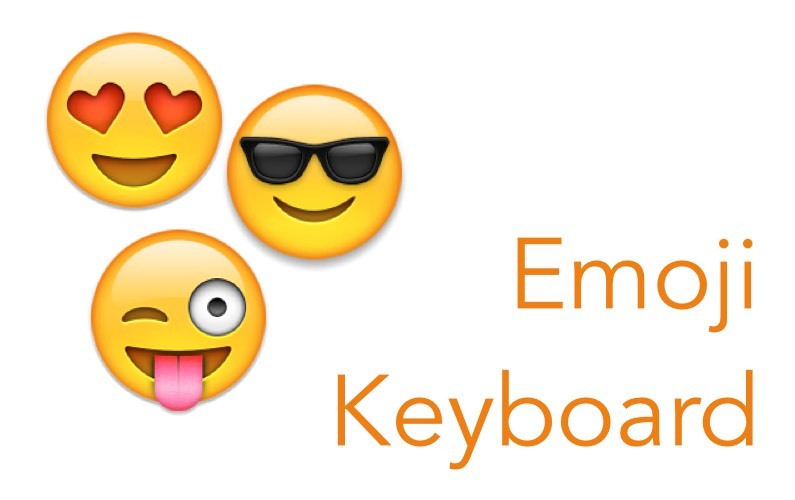 Your new Emoji keyboard will be added to the list of available keyboards. 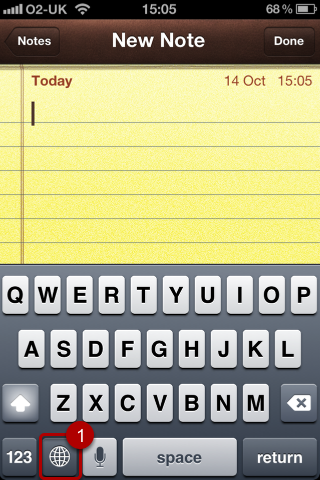 Once you have more than a single keyboard defined on your device an extra button will appear next to the number key on the left of the keyboard (1). 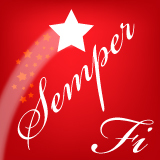 Tapping this icon will cycle you through the keyboards available on your device. NB. 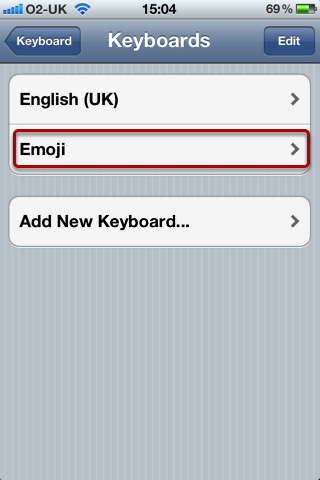 You may or may not see the microphone icon on your keyboard depending on your setup. 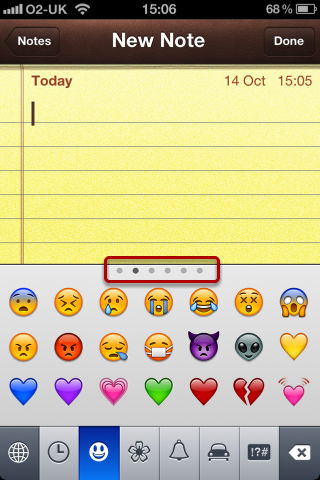 Adding an Emoji icon is a simple matter of tapping the required icon in the keyboard area (1) and watching it appear in the editing window (2). 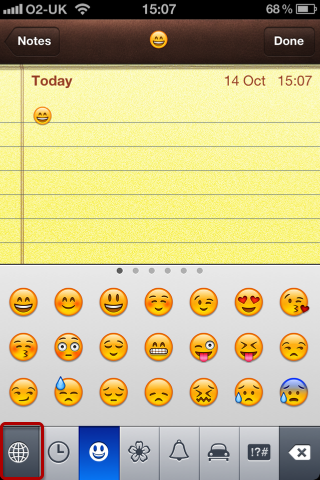 There are 5 categories of icons (1 through 5) and a sixth category of Recents (6) that is populated as you use various Emoji icons so your most recently used icons are always handy! 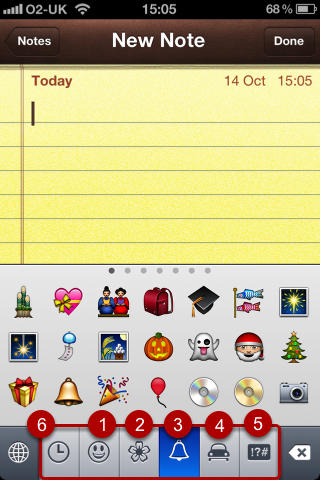 In addition to categories of icons each category has a number of pages of additional icons indicated by the grey dots above the icons. 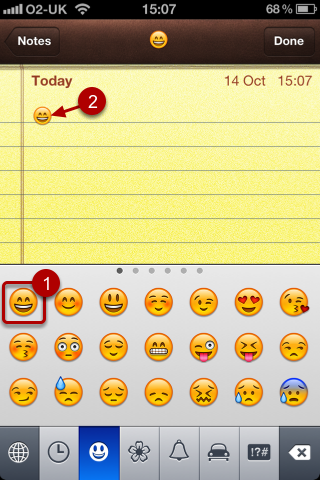 These additional icons are accessed using standard left and right swipe gestures. 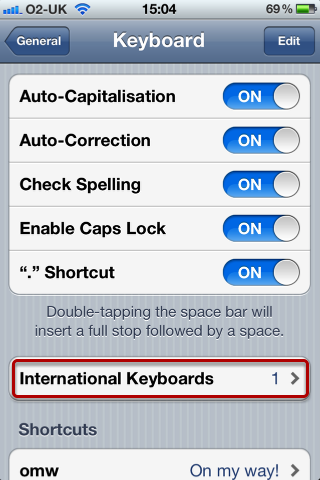 To return to the original keyboard and/or cycle through additional keyboards tap the globe icon on the left of the screen.